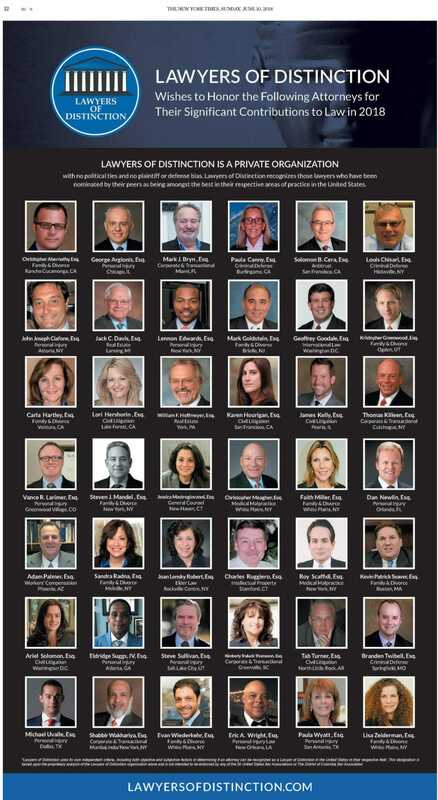 This past Sunday, June 10th, 2018, Lawyers of Distinction was featured in a full page advertisement in The New York Times. This is one of the many ways members leverage membership in Lawyers of Distinction. This can be located on the back cover of the Business Section of the June 10, 2018 edition. Lawyers of Distinction will continue to run ads in The New York Times and will continue publishing member directories in several other national publications and online.